1. This embroidered crop tee that will look so cute paired with jeans or shorts. 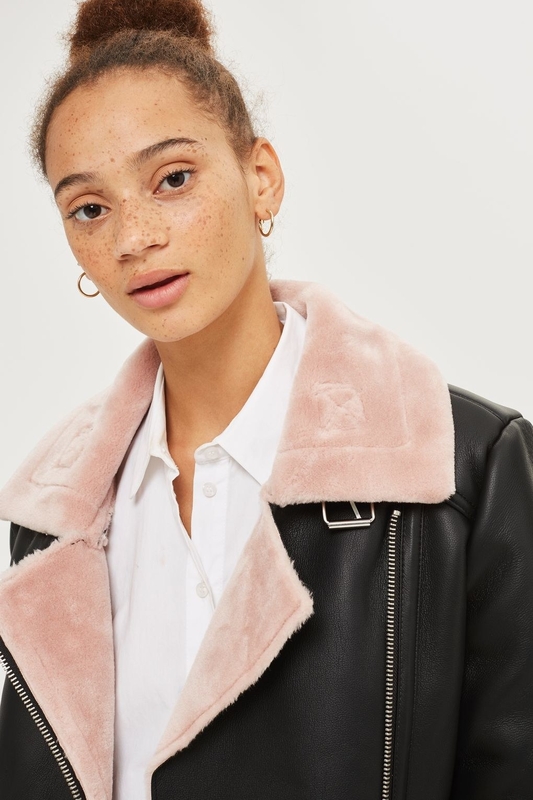 Get it from Topshop, £12 (was £18). 2. This gorgeous denim jacket that will transform any outfit and keep you cosy. Get it at Missguided, £30 (was £65). 3. This simple ribbed black dress that will go with everything. Get it from River Island, £10 (was £32). 4. 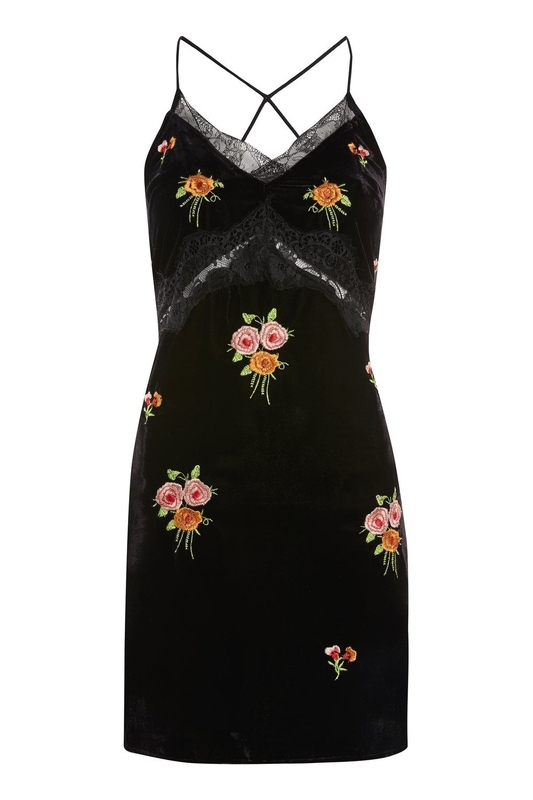 This ultra cute velvet slip dress that will look lovely all year round. 5. 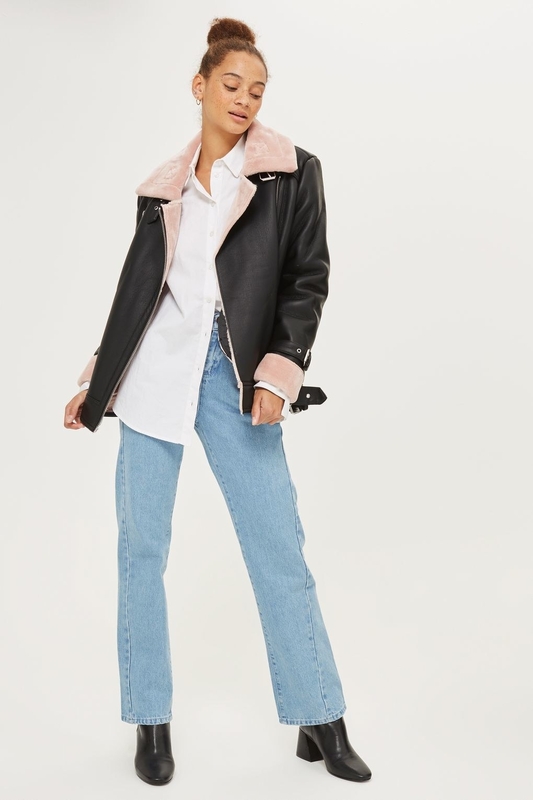 This pink faux shearling trimmed leather jacket that's a fun twist on a classic. Get it from Topshop, £55 (was £89). 6. These pale green Stan Smiths that will put a spring in your step. Get them from Addidas, £34.98 (was £69.95). Other colours available. 7. This tailored dress that will make a statement in your office. Get it from Asos, £17 (was £38). 8. 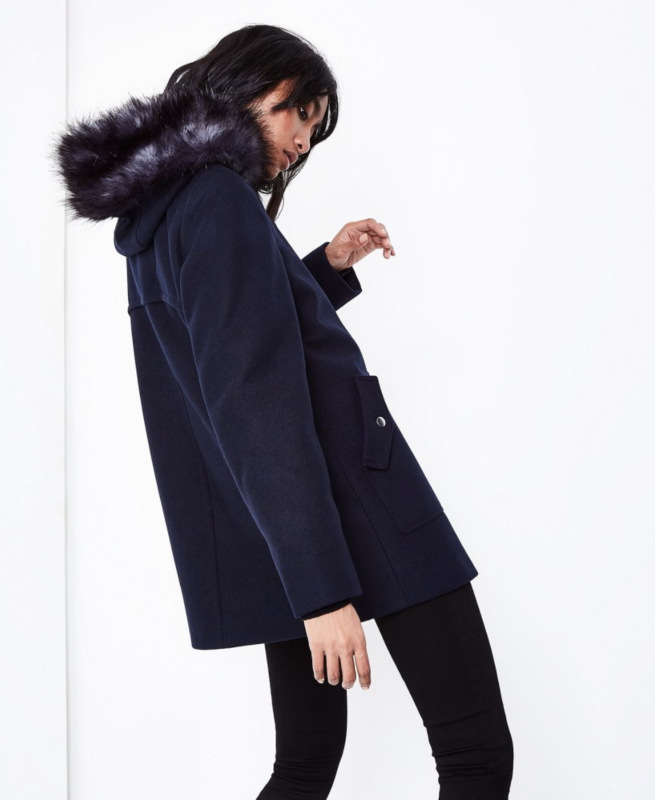 This cute duffle coat to keep cosy in. Get it from New Look, £20 (was £49.99). 9. This rust coloured jumper that will bring your layering to the next level. Get it from New Look, £16 (was £34.99). 10. This 70s-esque maxi dress that can be layered for winter or worn solo in summer. Get it from Asos, £14 (was £32). 11. These high heeled boots that will instantly make any casual outfit a bit smarter. 12. This chic longline coat that will see you through the transitional seasons (and colder summer days). Get it from New Look, £15 (was £29.99). 13. 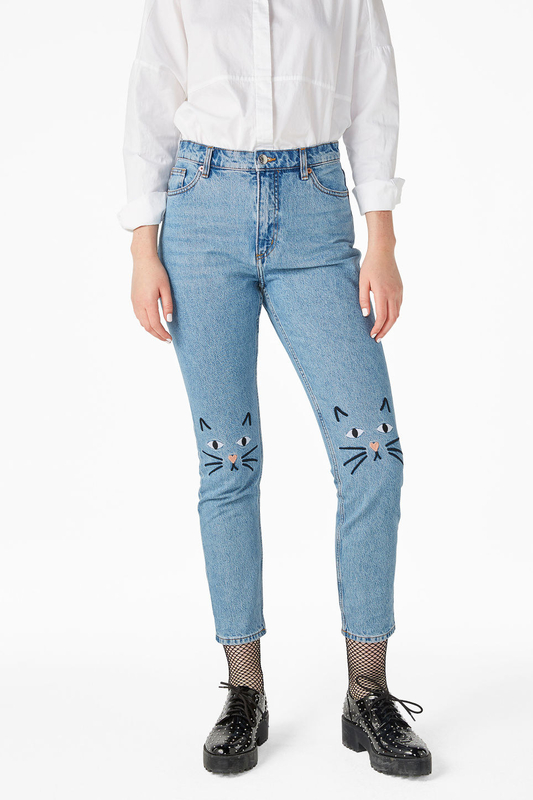 These adorable jeans with *kitty faces on the knees omg*. 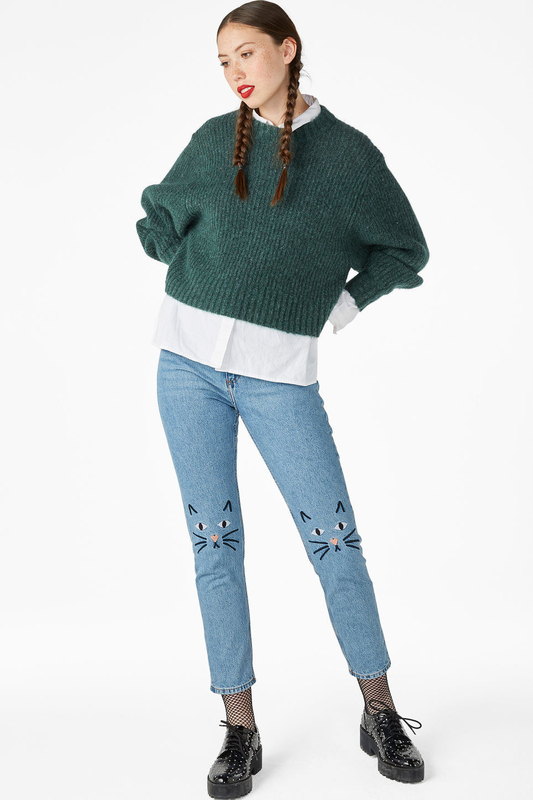 Get them from Monki, £20 (was £40). 14. This mini skirt that will look so very stylish paired with a turtleneck. Get it from New Look, £12 (was £17.99). 15. 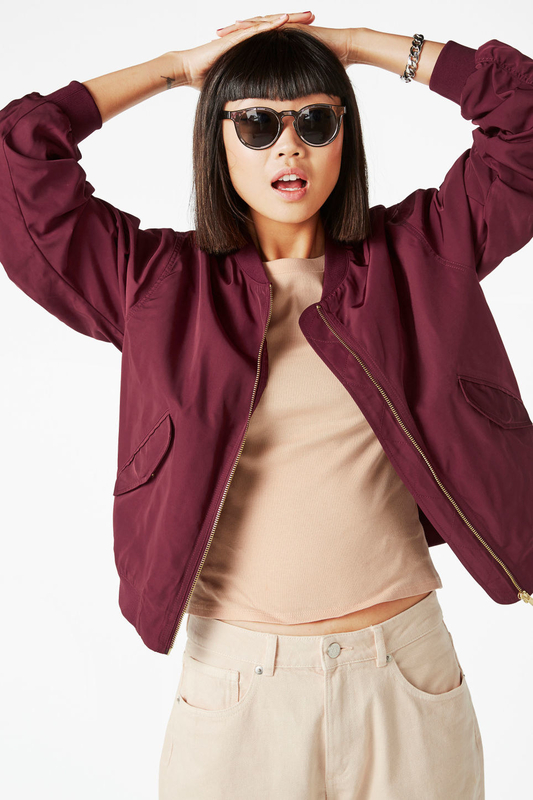 This practical but stylish bomber jacket. 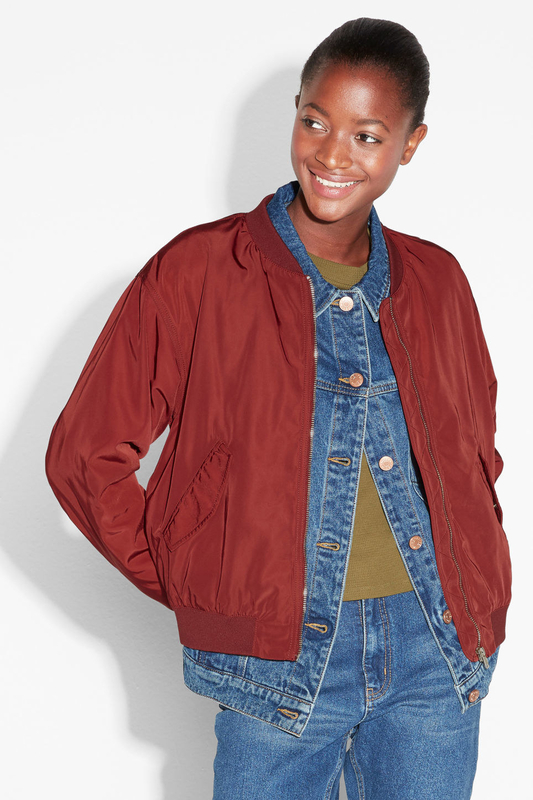 Get it from Monki, £25 (was £40). 16. This cute burgundy t-shirt dress that you know will be SO comfy. Get it from Monki, £15 (was £30). 17. These calf boots that come in the most perfect orange-y tan. Get them from Very, £21 (was £42). 18. This high quality jumper that's a great investment piece. Get it at Cos, £48 (was £69).